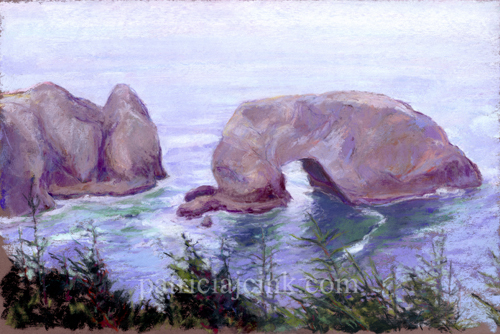 This is another view from a wayside stop along Hwy 101 in the Samuel Boardman Scenic Corridor along the Southern Oregon Coast. It is near the site of my painting, “Boardman Natural Bridges,” which I did last November. There is just something very captivating about light and ocean waves coming coming through these amazing rock formations.